Financial institutions should consult their advisers to ensure their CRS-related operations, including the self-certification forms collected from accountholders, comply with all applicable national laws. Guide to FATCA Compliance (New 2016 Edition includes) over 1,500 pages of analysis of the FATCA and CRS compliance challenges, 73 chapters by FATCA and CRS contributing experts from over 30 countries. Besides in-depth, practical analysis, the 2016 edition includes examples, charts, time lines, links to source documents, and compliance analysis pursuant to the IGA and local regulations for many U.S. trading partners and financial centers. The Lexis Guide to FATCA Compliance, designed from interviews with over 100 financial institutions and professional firms, is a primary reference source for financial institutions and service providers, advisors and government departments. The 19 newest chapters include by example an in-depth analysis of designing a FATCA internal policy that is compliant with the initial two-year soft enforcement initiative, designing an equivalent form to the W-8, reporting accounts, reporting payments, operational specificity of the mechanisms of information capture, management and exchange by firms and between countries, insights as to the application of FATCA, CRS, and the IGAs within BRIC, SEA and European country chapters. Download FATCA chapter 1 from SSRN here. 4th edition FATCA and CRS Updates will be posted on SSRN in December 2015. The OECD today releases three new reports to help jurisdictions and financial institutions implement the global Standard for automatic exchange of financial account information. Common Reporting Standard Implementation Handbook (the CRS Handbook): this first edition provides practical guidance to assist government officials and financial institutions in the implementation of the Standard. It sets out the necessary steps for implementation and will help financial institutions and governments implement the Standard more efficiently by promoting the consistent use of optional provisions, identifying areas for alignment with FATCA and addressing the operational and transitional challenges resulting from the staggered implementation of the Standard. It also contains answers to frequently asked questions (FAQs) received from business and governments, with a view to furthering the effective implementation of the Standard. The Handbook is intended to be a “living” document and will be updated on a regular basis. Offshore Voluntary Disclosure Programmes: this second edition contains a wealth of practical experience from 47 countries in relation to their voluntary disclosure programmes. The guidance on the design and implementation of such programmes has been updated, particularly taking into account the views of private client advisers. The limited time left until the automatic exchange of information under the Standard becomes a reality will in many instances be the last window of opportunity for non-compliant taxpayers to voluntarily disclose. This is therefore a crucial moment to update the publication and reflects OECD policy of encouraging countries to examine voluntary compliance strategies that enable non-compliant taxpayers to come forward. Model Protocol to the Tax Information Exchange Agreements (TIEAs): this report provides the basis for jurisdictions wishing to extend the scope of their existing TIEAs to also cover the automatic and/or spontaneous exchange of tax information. The Standard calls on jurisdictions to obtain information from their financial institutions and automatically exchange that information with other jurisdictions on an annual basis. Over 90 jurisdictions have committed to implement the Standard, with the first exchanges starting in 2017/2018, subject to the completion of necessary legislative procedures. Phase 1 reports on Albania, Burkina Faso, Cameroon, Dominican Republic,Lesotho, Pakistan and Uganda assessed their legal and regulatory frameworks for transparency and exchange of information on request. These countries were assessed to have legal frameworks in place to enable them to move to the next stage of the review process, which will assess exchange of information practices. Jurisdictions continue to request supplementary reviews that assess steps taken to address recommendations of the Global Forum to address gaps in their legal frameworks and exchange of information practices identified in previous reviews. This included the Marshall Islands, which had been blocked from moving to Phase 2 of its review process due to significant gaps in its legal framework. A supplementary review concluded that key changes to its legislation now enable the Marshall Islands to move to Phase 2. The Global Forum is the world’s largest international tax group, with 127 members on an equal footing. The Forum has now completed 198 peer reviews and assignedcompliance ratings to 80 jurisdictions that have undergone Phase 2 reviews. Of these, 21 jurisdictions are rated “Compliant”, 46 are rated “Largely Compliant”, 10 are rated “Partially Compliant” and 3 jurisdictions are “Non-Compliant.” A further 11 jurisdictions are blocked from moving to a Phase 2 review due to insufficiencies in their legal and regulatory framework. The Global Forum continues to ensure that the benefits of participation in the new tax transparent and cooperative environment are available to all. It has conducted a number of training seminars to help jurisdictions prepare for peer reviews, sensitize tax auditors in the use of the exchange of information infrastructure and equip governments to implement automatic exchange of information. Around 200 tax experts participated in seminars in Colombia, Cameroon, Ghana and Kenya. The Global Forum will also support a new pilot project on Automatic Exchange of Information announced jointly by Ghana and the UK on the sidelines of the 3rd Financing for Development Conference in Addis Ababa. Global Forum members will meet at their annual plenary meeting on 29-30 October 2015 in Bridgetown, Barbados. Attacking Profit Shifting by Prof. Jeffery Kadet – In recent years the financial press has turned increasing attention to MNCs that shift income to low taxed jurisdictions overseas in order to avoid US taxation. What’s generally missing from these discussions is any serious focus on possible IRS attacks on these companies, most of which are CFCs. There’s little apparent concern by anyone that the IRS will try to disallow the profit-shifting structures that have moved so much taxable income out of the US and other countries and into low-taxed foreign jurisdictions. This is changing. Early this year Caterpillar Inc. in an SEC filing disclosed that the IRS had issued a Revenue Agent’s Report to currently tax certain income earned by one of its Swiss entities. Presumably this is income earned as a result of a certain restructuring conducted in the late 1990s and referred to as the Swiss Tax Strategy when examined in 2014 in hearings held by the Senate Homeland Security and Governmental Affairs Permanent Subcommittee on Investigations (PSI). The IRS basis for its RAR, as disclosed by Caterpillar, is application of the ‘substance-over-form’ or ‘assignment-of-income’ judicial doctrines. This, however, is not the only approach that the IRS might have chosen to impose taxation on the shifted profits. Various Congressional hearing documents, the work of investigative journalists, and other sources (all publicly available) provide evidence that the businesses within some profit-shifting structures continue to be managed and substantially conducted from the U.S. and not from any business locations outside the U.S. Where this is the case, the IRS may have a strong case for imposing direct taxation on the effectively connected income (ECI) of these low-taxed foreign subsidiaries. · An open statute of limitations on IRS assessment of tax for any tax year if the foreign corporation has never filed a US tax return on Form 1120-F for that year. The combined effect of the above is a 54.5% or higher effective tax rate (lower if tax treaty coverage reduces the 30% branch profits tax rate). Considering these terribly high effective tax rate percentages, where the IRS chooses to examine for possible ECI and develops a credible case, they can use the high effective tax rate as strong leverage to secure agreement for reversal of profit shifting structures. Such agreements would presumably see MNCs agreeing to current taxation within U.S. group members of the shifted profits that had originally been booked in low-taxed foreign subsidiaries. To demonstrate how significant ECI likely exists within many MNCs that have conducted profit-shifting planning, this article includes a number of realistic examples inspired by the above-mentioned publicly available information on MNC profit-shifting structures. Recognizing that it can sometimes be a challenge to apply the very old existing regulations to current business models, the article strongly encourages Treasury to prioritize the issuance of modernized income sourcing and ECI regulations that reflect the business models and structures now commonly used and that are often found in profit-shifting structures. What Can Regulatory Competition Can Teach About Tax Competition? Critics argue that such competition leads inevitably to a “race to the bottom,” with the result of reducing tax rates and revenue everywhere. But Dr. Andrew Morriss, Texas A&M Law explains, that anyone who has ever filled out a tax return knows, tax rates are just one facet of tax competition. Jurisdictions can compete over a wide range of tax system attributes – all the way from the complexity of the system to special provisions designed to advantage particular forms of investment to general depreciation rules. Read this article at Competing For Captives: What Regulatory Competition Can Teach About Tax Competition by authors Dr. Andrew P. Morriss, Dean & Anthony G. Buzbee Dean’s Endowed Chairholder, Texas A&M University School of Law; and Drew Estes, a JD/MBA Candidate, Class of 2016, University of Alabama. UK Amnesty Not Leading to Disclosure of Tax Evasion in Channels. Is It “Much To Do About Nothing” ? In 2011, HMRC forecast that it would receive “billions” from the Swiss Disclosure Facility. In 2012, HMRC stated that this number would be 5 billion sterling, and another 3 billion sterling from the LDF. This implies that a couple hundred thousand United Kingdom tax residents are non tax compliant by not disclosing income and income-producing assets overseas, in offshore countries. As of that report of data up to 2012, 50,000 taxpayers had come forward through all offshore disclosure facilities, generating one billion in tax, interest, and tax penalties, thus on average 20,000 sterling per disclosure. My tables and figures are available at International Financial Law Prof Blog. The offshore noncompliance problem in the context of all non-tax compliance, and all taxpayers, requires first asking how many individual taxpayers file in the UK? see International Financial Law Prof Blog. The Tax Inspectors Without Borders (TIWB) initiative enables the transfer of tax audit knowledge and skills to tax administrations in developing countries through a real time, “learning by doing” approach. Experts – currently serving or recently retired tax officials – are deployed to work directly with local tax officials on current audits and audit-related issues concerning international tax matters, and to share general audit practices. read the post at International Financial Law Prof Blog. On 1 June 2015 the IRS published its thirteenth FATCA GIIN list of “approved FFIs” (a list of the financial firms that have registered on the IRS FATCA portal). Total approved FFIs reached 165,461, and increase of only 2,851 during the month of May. This FATCA registration trend since January has been described as lethargic, with April’s increase just 2,600 additional firms joining, 3,734 additional during March, and 2,479 in February. But when compared to what was forecast by the IRS, by industry, and by the UK, it’s a troubling low figure. In its FATCA FAQs, the IRS suggested a 500,000 potential FFI registration figure. Many industry stakeholders suggested that 800,000 – 900,000 firms fall under the expansive definition of financial institution. Given the broad definition of a financial institution that must register for a GIIN, the UK HMRC estimated that, even with its IGA and its accompanying local regulations, 75,000 UK entities probably are impacted. Yet, only the UK GIIN population is only 23,256. If the UK HMRC is correct that 75,000 entities are impacted in the UK, then extrapolated among other large and sophisticated financial service economies like Japan, China, India, and Germany, the IRS estimate of 500,000 may be low. 90 countries and dependencies have entered into a FATCA IGA with the U.S. based on Model 1A (reciprocal), or are awaiting local ratification, accounting for 100,190 of the registrations. A further eight countries signed a Model 1B (non-reciprocal), accounting for a further 39,564 GIINs. A final 14 countries signed a Model 2 version IGA, adding 18,458 FFI registrations covered by an IGA. Thus in total, 158,212, representing 96% of FFI registrations, are from the 112 IGA states and their dependencies. The 131 countries and dependencies without an IGA have only registered 6,295 FFIs to date, a surprising low number given that the initial implementation of the 30% withholding for non-compliance with FATCA began 1 July 2014. The UK and its ten dependencies and overseas territories comprised 74,694 of the GIINs, representing 45% of the total, or without the UK included, 49,898 for 30.6%. The 34 OECD members have produced 79,057 GIIN registrations. Cayman remains the FFI registration global leader, with 30,868, throughout the entire FATCA registration process. Ironic that the EU Commission just black listed it last week. The major financial industries of the four BRIC countries have only led to 8,254 FFI registrations, which is seen as a worrying point for FATCA acceptance among non-OECD states. BRIC registrations are now just dripping in, up from 8,186 in May, 8,060 in April and 7,962 in March. OECD Common Reporting Standard signatories for the a multilateral competent authority agreement to automatically exchange information has reached 61. But a notable holdout of a signatory that has not yet actually ratified the agreement is the U.S. 88 countries and dependencies are signatories to the Multilateral Convention on Mutual Administrative Assistance in Tax Matters, the latest being Mauritius which signed June 23. I am beginning my new faculty position with Texas A&M University School of Law in a week. With the resources of Texas A&M Law, my research colleague Haydon Perryman (who is now with UBS Investment Bank where he is responsible for global regulatory reporting of FATCA and the CRS) and I will be able to expand our FATCA and CRS research capacity. Any readers that want to assist in such research, please contact us at Haydon Perryman or William Byrnes. Please download my FATCA SSRN article here. Public comments are invited on a discussion draft which deals with work in relation to Action 8 of the Action Plan on Base Erosion and Profit Shifting (BEPS). Action 8 (“Assure that transfer pricing outcomes are in line with value creation: Intangibles”) requires the development of “rules to prevent BEPS by moving intangibles among group members” and involves updating the guidance on cost contribution arrangements. The discussion draft sets out a proposed revision to Chapter VIII of the Transfer Pricing Guidelines and is intended to align the guidance in that chapter with the other elements of Action 8 already addressed in the Guidance on Transfer Pricing Aspects of Intangibles released in September 2014. Interested parties are invited to submit written comments by 29 May 2015 (no extension will be granted) and should be sent by email to TransferPricing@oecd.org in both PDF and Word format. They should be addressed to Andrew Hickman, Head of Transfer Pricing Unit, Centre for Tax Policy and Administration. Check out William Byrnes’ Lexis’ Practical Guide to U.S. Transfer Pricing, available within LexisNexis, which is updated annually to help multinationals cope with the U.S. transfer pricing rules and procedures, taking into account the international norms established by the Organisation for Economic Co-operation and Development (OECD). It is also designed for use by tax administrators and tax professionals, corporate executives, and their non-tax advisors, both American and foreign. Fifty co-authors contribute subject matter expertise on technical issues faced by tax and risk management counsel. Chapter 13 covers Cost Sharing Arrangements. The Global Forum on Transparency and Exchange of Information for Tax Purposes released 9 peer review reports, including a Phase 1 Supplementary Report for Switzerland, demonstrating continuing progress toward implementation of the international standard for exchange of information on request. read them at International Financial Law Prof Blog. read the entire story with links at International Financial Law Prof Blog. Most international bribes are paid by large companies, usually with the knowledge of senior management, according to new OECD analysis of the cost of foreign bribery and corruption. Bribes in the analysed cases equalled 10.9% of the total transaction value on average, and 34.5% of the profits – equal to USD 13.8 million per bribe. But given the complexity and concealed nature of corrupt transactions, this is without doubt the mere tip of the iceberg, says the OECD. 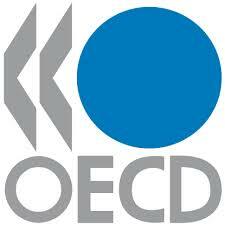 The OECD released today its new Strategy for Deepening Developing Country Engagement in the Base Erosion and Profit Shifting (BEPS) Project, which will strengthen their involvement in the decision-making processes and bring them to the heart of the technical work. The BEPS Project aims to create a coherent set of international tax rules to end the erosion of national tax bases and the artificial shifting of profits to jurisdictions solely to avoid paying tax. Building on their engagement in the earlier phase of the BEPS Project, about 10 developing countries, including: Albania, Jamaica, Kenya, Peru, Philippines, Senegal, and Tunisia, will be invited to participate in meetings of the key BEPS decision making body – the Committee on Fiscal Affairs (CFA) – and its technical working groups. Several other developing countries are expected to confirm their participation in the CFA or the technical working groups in the coming weeks. Five regionally organised networks of tax policy and administration officials will be established, to coordinate an ongoing and more structured dialogue with a broader group of developing countries on BEPS issues. Building on the effective BEPS consultations that took place in 2013 and 2014; these networks will strengthen the involvement of developing countries in Asia, Africa, Central Europe and the Middle East, Latin America and the Caribbean, and Francophone countries. Support for capacity building to address BEPS issues in developing countries is imperative. The regional networks will play an important role in the development of toolkits needed to support the practical implementation of the BEPS measures and as well as some of the priority issues for developing countries (tax incentives and transfer pricing comparable data) which are outside the BEPS Action Plan. The regional networks will also be a forum for interested developing countries to discuss the negotiation and implementation of the multilateral instrument under Action 15 of the BEPS Project. The African Tax Administration Forum (ATAF) and the Inter-American Centre for Tax Administration (CIAT) will continue to play a critical role in leading regional discussions on the BEPS priority issues for developing countries. They will help ensure those views are reflected in discussions on the development of the BEPS measures and the practical tools for supporting implementation. They will also be invited to join the meetings of the CFA and the technical working groups, together with the international organisations (the IMF, the World Bank Group and the UN), which already participate. A two-part report from the G20 Development Working Group shows that BEPS issues pose acute problems for developing countries, most of which have lower tax bases than advanced economies and raise a far higher share of tax revenues from corporate taxes than developed countries. The report drew extensively on engagement with developing countries: more than 80 developing countries and other non-OECD/non-G20 economies were consulted through four in-depth regional consultations and five thematic global fora in the first phase of the BEPS Project. The report was presented last September to the G20 Finance Ministers who called on the OECD to develop a new structured dialogue process for deepening developing country engagement in tackling BEPS issues and ensuring that their concerns are addressed. Developing countries have consistently recognised the importance of addressing base erosion and profit shifting as part of wider measures to increase domestic resource mobilisation, in order to promote stable economic growth and invest in infrastructure, education and health, among other government priorities. A two-day workshop in December 2014 will allow developing countries interested in participating in the BEPS work of the Committee on Fiscal Affairs (CFA) and its technical working groups to discuss the practical aspects of deepened engagement in the Project, as well as their priority issues. At the same time, the donor community will meet to discuss plans to ensure that developing countries have the resources necessary to engage in the BEPS project effectively. The OECD released last September its first recommendations towards coherent international tax rules to end the erosion of national tax bases and the artificial shifting of profits to jurisdictions to avoid paying tax. The recommendations were endorsed by G20 Finance Ministers during a meeting in Cairns, Australia last September and will be discussed during the Leaders’ Summit that will take place on15-16 November in Brisbane. The OECD/G20 Base Erosion and Profit Shifting (BEPS) Project and the move to automatic exchange of financial account information took centre stage when Heads of Tax Administration met on 23-24 October in Dublin, Ireland. The FTA is the leading international body concerned with tax administration, bringing together the heads of tax administrations from the OECD, members of the G20 and large emerging economies. More than forty delegations participated in the Ninth Meeting of the OECD Forum on Tax Administration (FTA) and agreed that ever greater co-operation will be necessary to implement the results of the BEPS project and automatic exchange of information. To improve the practical operation of the mutual agreement process. • We are taking a significant step forward in global tax co-operation. We have agreed a strategy for systematic and enhanced co-operation between our tax administrations, based on existing legal instruments, that will allow us to quickly understand and deal with global tax risks whenever and wherever they arise. Along with the strategy, we have created a new international platform called the JITSIC1 Network to focus specifically on cross border tax avoidance, which is open to all FTA members on a voluntary basis. This new network integrates the existing cooperation amongst some of us into the larger FTA framework. • We will invest the resources necessary to implement the new standard on automatic exchange of information and use the information to counter tax evasion wherever it arises, while protecting taxpayer confidentiality and ensuring the proper use of the information. We will ensure that common, secure and effective transmission systems are in place. • We will improve the practical operation of the Mutual Agreement Procedure (MAP) so that issues of double taxation are addressed more quickly and efficiently in order to meet the needs of both governments and taxpayers and so assure the critical role of those procedures in the global tax environment. We have advanced work in this area which will be integrated with the result from the related 2015 BEPS action item. We will encourage competent authorities of all member countries to actively participate in the relevant activities (www.oecd.org/site/ctpfta/map-strategic-plan.pdf). BEPS – China and India: Official Responses to UN BEPS Questionnaire | Let’s Talk Tax. United Nations Subcommittee on Base Erosion and Profit Shifting (BEPS) had invited the developing countries to provide feedback by answering the UN Questionnaire including 10 questions. This summary focuses on the responses provided by China and India. China and India responses to BEPS Questionnaire: Both China and India confirmed that BEPS is very important issue for them and shared the global concern. …. 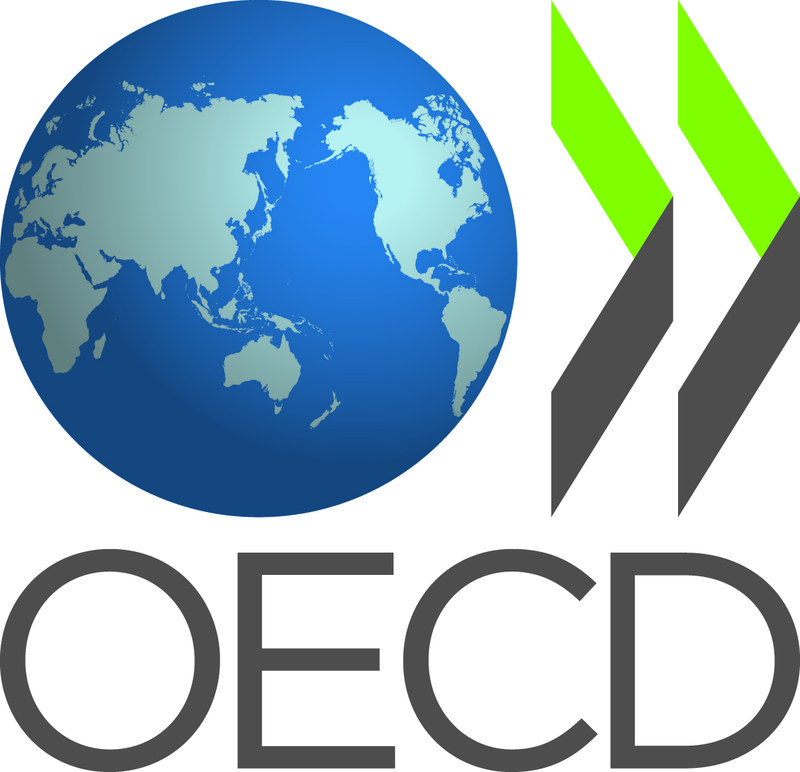 Development and Part II – Global Forum on Transparency and Exchange of Information for Tax Purposes, OECD Secretary-General Report to the G20 Finance Ministers and Central Bank Governors, September 2014. • G20 Common Reporting Standard Implementation Plan, September 2014. Information for Developing Economies, G20 Development Working Group, September 2014.
a Roadmap for developing country participation in the new global standard for the automatic exchange of information between jurisdictions. The OECD will report to the G20 Leaders in November on its plan to deepen the involvement of developing countries in the OECD/G20 BEPS project and ensure that their concerns are addressed. Detection of tax evasion is critical for developing countries in particular: US$8.5 trillion of household assets are held abroad. In 2012, more than 25% of all Latin American and almost 33% of all Middle Eastern and African household wealth was held abroad compared to the worldwide average of 6%7. Estimates of tax revenue and illicit financial flows lost by developing countries generally range in the hundreds of billions of US dollars per year, exceeding the amount of official development assistance. Following-up on the release of the first set of BEPS recommendations last week, this new report recognises that the risks faced by developing countries from BEPS, and the challenges faced in addressing them, may differ to those faced by advanced economies. It draws on extensive consultations with developing countries to discuss BEPS issues which are a key priority to them, for example transfer pricing and the abuse of tax treaties, as well as issues that are not part of the BEPS Action Plan, such as tax incentives which may erode the tax base in the developing world but do little to attract inward investment. Acknowledging that developing countries face specific policy issues and implementation challenges that are not always shared with developed countries, the report sets out areas where additional guidance and tools are required to ensure that the BEPS outcomes fully benefit lower capacity countries. It also highlights the actions developing countries have taken, many with international support, that indicate there are good opportunities to raise additional revenues from addressing BEPS issues and to create a more certain and stable investment climate for business. Many Global Forum members reported this as a key benefit of AEOI and evidence supports this conclusion. For example, in Denmark, a 2010 study found that tax evasion occurred only in 0.3% of cases where income was subject to third-party reporting, but in 37% cases for self-reported income. In the US, 99% compliance was achieved for individuals whose income was reported to the tax administration by financial institutions whereas misreporting by individuals was found in 56% of cases in which there was little or no third party reporting. The Roadmap points the way to developing country participation in the new standard on automatic exchange of information. Drawing on the Global Forum’s extensive consultations with developing countries, the World Bank Group, other international organisations and civil society, the Roadmap provides a stepped approach to ensuring developing countries can overcome obstacles in implementing the new standard. It identifies the benefits, costs and the fundamental building blocks that developing countries need in order to meet the standard. Pilot projects with developing countries are one of the key ways in which the Roadmap will be implemented. The pilot projects will take a progressive approach to implementation, with a focus on meeting the particular needs of each developing county pilot and ensuring that all confidentiality standards are reached. The pilot projects will be undertaken with the support of the World Bank Group and G20 countries, and include partnerships with more experienced countries. The results of these pilot projects will help to redress the knowledge imbalance between tax administrations in developing countries and tax evaders. Over half of the Global Forum’s 121 member jurisdictions are developing countries and stand to benefit from the Roadmap and its implementation. Full Video of BEPS release and the Post link is here. counter harmful tax practices (Action 5). Senate Hearing recorded for streaming: U.S. Tax Code: Love It, Leave It or Reform It! The U.S. Tax Code: Love It, Leave It or Reform It! The U.S. tax code is infected with the chronic diseases of loopholes and inefficiency. These infections are hobbling America’s drive to create more good-wage, red, white and blue jobs here at home. They are a significant drag on the economy and are harming U.S. competitiveness. The latest outbreak of this contagion is the growing wave of corporate inversions, where American companies move their headquarters out of the U.S. in pursuit of lower tax rates. For example, in 2013, the OECD launched its Base Erosion & Profit Shifting, or BEPS, project. While we appreciate the OECD’s efforts in bringing tax authorities together to discuss and work through issues, many of us have expressed concern that the BEPS project could be used by other countries as a way to increase taxes on American taxpayers. …. This approach, in my view, completely misses the mark. While it may put a stop to traditional inversions it could actually lead to more reverse acquisition inversions as our U.S. multinationals would, under this approach, become more attractive acquisition targets for foreign corporations. The OECD today released the full version of a new global standard for the exchange of information between jurisdictions. The CRS contains a reporting and a due diligence standard that underpins the automatic exchange of information, very similar to FATCA. Due diligence distinguishes between pre-existing accounts and new accounts, individual accounts and entity accounts. Pre-existing accounts do not have a de minimis amount but are divided between low value and high value accounts. Low value accounts have a permanent residency based test based on documentation or, failing that, based upon indicia. If indicia are found, then either the account holder must provide self-certification or the account must be reported to all jurisdictions to which the indicia attach. High value accounts are defined as having an aggregate balance or value of $1 million US dollars by December 31 of a calendar year. High value accounts require a paper based search as well as the test of actual knowledge of the relationship manager. All new individual accounts (no de minimis) require self-certification, with confirmation of its reasonableness, which can be performed at the time of account onboarding. Preexisting entity accounts firstly need to determine if the entity is a reportable person, generally using available AML/KYC information, and if such information is not available, then a self certification will be required from the entity. However, a preexisting entity account de minimis size of US$250,000 is available at the option of the jurisdiction adopting the CRS. If the entity is a passive entity then the residency of the controlling members of the entity must be determined. Passive entity status may be determined by self-certification unless the financial institution has contra-indication information, or information is otherwise publicly available to refute the self-certification. Controlling members of the entity may be determined based upon the AML/KYC information available. Control must be interpreted in a manner consistent with the FATF standard. For new accounts, the de minimis option is not available because self-certification is easily obtainable at account opening. Over 600 pages of in-depth analysis of the practical compliance aspects of financial service business providing for exchange of information of information about foreign residents with their national competent authority or with the IRS (FATCA). On June 16, 2014 the OECD Council approved the contents of the 2014 Update to the OECD Model Tax Convention. The OECD stated that this update will be incorporated in a revised version of the Model Tax Convention that will be published in the next few months. Technical changes to be included in the next Update to the Model Tax Convention (November 15, 2013). The 2014 Update does not include any results from the ongoing work on the BEPS Action Plan. Moreover, the 2014 Update does not include the changes included in the discussion draft of November 15, 2013 on Proposed changes to the provisions dealing with the operation of ships and aircraft in international traffic (except for a change to the Introduction); as indicated in that discussion draft, further work is needed with respect to these changes before they are included in the OECD Model Tax Convention. The 2014 Update also does not include any of the changes put forward in the discussion draft of October 19, 2012 on Revised proposals concerning the interpretation and application of Article 5 (Permanent Establishment); since it is expected that work on Action 7 (Prevent the Artificial Avoidance of PE Status) of the BEPS Action Plan will result in changes to Article 5, the proposed Commentary changes included in that discussion draft will not be finalised until the work on Action 7 has been completed. The second edition of the “LexisNexis® Guide to FATCA Compliance,” discussing the Foreign Account Tax Compliance Act of 2010 (FATCA), has been vastly improved based on over thirty in-house workshops and interviews with tier 1 banks, company and trust service providers, government revenue departments, and central banks. The enterprises are headquartered in the Caribbean, Latin America, Asia, Europe, and the United States, as are the revenue departments and the central bank staff interviewed.Chapter 1 of the book, “Background and Current Status of FATCA,” is available here for free download on SSRN, and also from LexisNexis. The full book is available for purchase from LexisNexis. See weblinks provided in attached PDF. Chapter 1 is primarily authored by Associate Dean William H. Byrnes, IV, of Thomas Jefferson School of Law’s Walter H. & Dorothy B. Diamond International Tax & Financial Services Program, with contributions by Professor Denis Kleinfeld and Dr. Alberto Gil Soriano. The lead author and editor of the overall book is Dean Byrnes (with Dr. Robert J. Munro). The second edition of the book has been expanded from 25 to 34 chapters, with 150 new pages of regulatory and compliance analysis based upon industry feedback of internal challenges with systems implementation. The 25 chapters in the previous edition have been substantially updated, including many more practical examples, to assist a compliance officer in contextualizing the relevant regulations, provisions of inter-governmental agreements (IGAs), and national rules enacted pursuant to IGAs. The nine new chapters in this second edition include, for example, an in-depth analysis of the categorization of trusts pursuant to the regulations and IGAs, operational specificity of the mechanisms of information capture, management, and exchange by firms and between countries, insights as to the application of FATCA, and the IGAs within new BRIC (Brazil, Russia, India, China) and European country chapters. This second edition will provide the financial enterprise’s FATCA compliance officer with the tools needed for developing and maintaining a best practices compliance strategy, starting with determining what information is needed for planning the meetings with outside FATCA experts. Over 600 pages of in-depth analysis of the practical compliance aspects of financial service business providing for exchange of information of information about foreign residents with their national competent authority or with the IRS (FATCA), see Lexis Guide to FATCA Compliance, 2nd Edition just published! “Already a member of the Global Forum on Transparency and Exchange of Information for Tax Purposes since October 2012, Gabon’s commitment today plays an important role for regional co-operation in tax matters and demonstrates effective action towards greater exchange of information”, said Pascal Saint-Amans. “We hope it will act as an encouragement to other African and developing countries to also join this important area of international co-operation in the fight for a fairer and more transparent international tax system”. The Convention provides for all forms of mutual assistance: exchange on request, spontaneous exchange, tax examinations abroad, simultaneous tax examinations and assistance in tax collection , while protecting taxpayers’ rights. It also provides the option to undertake automatic exchange, requiring an agreement between the Parties interested in adopting this form of assistance. 47 countries and major financial centers on May 6, 2014 committed to automatic exchange of information between their jurisdictions, announced the OECD. All 34 OECD member countries, as well as Argentina, Brazil, China, Colombia, Costa Rica, India, Indonesia, Latvia, Lithuania, Malaysia, Saudi Arabia, Singapore and South Africa endorsed the Declaration on Automatic Exchange of Information in Tax Matters that was released at the May 6-7, 2014 Meeting of the OECD at a Ministerial Level. The Declaration commits countries to implement a new single global standard on automatic exchange of information (“CRS” or “GATCA”). The OECD stated that it will deliver a detailed Commentary on the new standard, as well as technical solutions to implement the actual information exchanges, during a meeting of G20 finance ministers in September 2014. February 13 the OECD released the Standard for Automatic Exchange of Financial Account Information Common Reporting Standard. The Draft Commentaries for the CRS, developed by the Working Party No. 10 on Exchange of Information and Tax Compliance, and discussed at its May 26-28, 2014 meeting, are expected to be released very shortly, in July. The CRS calls on jurisdictions to obtain information from their financial institutions and automatically exchange that information with other jurisdictions on an annual basis. It sets out the financial account information to be exchanged, the financial institutions that need to report, the different types of accounts and taxpayers covered, as well as common due diligence procedures to be followed by financial institutions. Part I of the report gives an overview of the standard. Part II contains the text of the Model Competent Authority Agreement (CAA) and the Common Reporting and Due Diligence Standards (CRS) that together make up the standard. What are the main differences between the CRS (“GATCA”) and FATCA? The CRS is also informally called “GATCA”, referring to the “globalization” of FATCA. The CRS consists of a fully reciprocal automatic exchange system from which US specificities have been removed. For instance, it is based on residence and unlike FATCA does not refer to citizenship. Terms, concepts and approaches have been standardized allowing countries to use the system without having to negotiate individual Annexes. Unlike FATCA the CRS does not provide for thresholds for pre-existing individual accounts, but it includes a residence address test building on the EU savings directive. The CRS also provides for a simplified indicia search for such accounts. Finally, it has special rules dealing with certain investment entities where they are based in jurisdictions that do not participate in the automatic exchange under the standard. Under GATCA jurisdictions obtain information from their financial institutions and automatically exchange that information with other jurisdictions on an annual basis. Part I of this report gives an overview of the standard. Part II contains the text of the Model Competent Authority Agreement (CAA) and the Common Reporting and Due Diligence Standards (CRS) that together make up the standard. The Report sets out the financial account information to be exchanged, the financial institutions that need to report, the different types of accounts and taxpayers covered, as well as common due diligence procedures to be followed by financial institutions. The financial information to be reported with respect to reportable accounts includes all types of investment income (including interest, dividends, income from certain insurance contracts and other similar types of income) but also account balances and sales proceeds from financial assets. The financial institutions that are required to report under the CRS do not only include banks and custodians but also other financial institutions such as brokers, certain collective investment vehicles and certain insurance companies. Reportable accounts include accounts held by individuals and entities (which includes trusts and foundations), and the standard includes a requirement to look through passive entities to report on the individuals that ultimately control these entities. The CRS also describes the due diligence procedures that must be followed by financial institutions to identify reportable accounts. If CRS and IGAs are Universally Adopted, Then Why is the Multilateral Convention on Mutual Administrative Assistance in Tax Matters Necessary? G20 governments have mandated the OECD-hosted Global Forum on Transparency and Exchange of Information for Tax Purposes to monitor and review implementation of the standard. More than 60 countries and jurisdictions of the 121 Global Forum members have now committed to early adoption of the standard, and additional members are expected to join this group in the coming months. See the link for Country Peer Reviews and the Global Forum list of ratings chart. 34 chapters by 50 experts grouped in three parts: compliance program (Chapters 1–4), analysis of FATCA regulations (Chapters 5–16) and analysis of Intergovernmental Agreements (IGAs) and local law compliance requirements (Chapters 17–34), including information exchange protocols and systems. G20 governments have mandated the OECD-hosted Global Forum on Transparency and Exchange of Information for Tax Purposes to monitor and review implementation of the standard. More than 60 countries and jurisdictions of the 121 Global Forum membershave now committed to early adoption of the standard, and additional members are expected to join this group in the coming months. See the link for Country Peer Reviews and the Global Forum list of ratings chart. February 13 the OECD released the Standard for Automatic Exchange of Financial Account Information Common Reporting Standard. The OECD released Monday, March 24, a discussion draft on the Tax Challenges of the Digital Economy. Identify the main difficulties that the digital economy poses for the application of existing international tax rules and develop detailed options to address these difficulties, taking a holistic approach and considering both direct and indirect taxation. Issues to be examined include, but are not limited to, the ability of a company to have a significant digital presence in the economy of another country without being liable to taxation due to the lack of nexus under current international rules, the attribution of value created from the generation of marketable location-relevant data through the use of digital products and services, the characterisation of income derived from new business models, the application of related source rules, and how to ensure the effective collection of VAT/GST with respect to the cross-border supply of digital goods and services. Such work will require a thorough analysis of the various business models in this sector. The OECD’s March 24 discussion draft on the Tax Challenges of the Digital Economy, after surveying the elements of the new global digital economy, outlines the tax minimization techniques and then provides broad proposals to reduce the BEPS resulting therefrom. Below, I have excerpted and paraphrased the relevant aspects to provide an overview. Section V “Tackling BEPS in the Digital Economy” of the discussion draft examines how work on the actions of the BEPS Action Plan and in the area of indirect taxation will address BEPS issues arising in the digital economy. This section also highlights the particular characteristics of the digital economy that must be taken into account to ensure that the measures developed effectively address BEPS in the digital economy. Section VI “Broader Tax Challenges Raised by the Digital Economy” discusses the challenges that the digital economy raises for direct taxation, with respect to nexus, the tax treatment of data, and characterization of payments made under new business models. Section VI also discusses the indirect tax challenges raised by the digital economy with respect to exemptions for imports of low-valued goods, and remote digital supplies to consumers. Thereafter, Section VI lists administrative challenges faced by tax administrations in applying the current rules. Section VII “Potential Options to Address The Broader Tax Challenges Raised by the Digital Economy” provides a brief framework for evaluating options to address the broader tax challenges raised by the digital economy. This section then provides an overview of potential options that have been received by the Task Force, along with a description of some of the issues that will need to be addressed in developing and evaluating those options. Interested parties are invited to submit comments electronically in Word on this discussion draft, before 5.00pm on April 14, 2014 to CTP.BEPS@oecd.org. Persons and organisations who intend to send comments on this discussion draft are invited to indicate by April 7 whether they wish to speak in support of their comments at a public consultation meeting on Action 1 (Address the tax challenges of the digital economy), which is scheduled to be held in Paris at the OECD Conference Centre on April 23, 2014. Persons wishing to attend this public consultation meeting should fill out their request for registration on line as soon as possible but by April 7, 2014. Lexis’ Practical Guide to U.S. Transfer Pricing (William Byrnes & the late Robert Cole (2013)) is designed to help multinationals cope with the U.S. transfer pricing rules and procedures, taking into account the international norms established by the Organisation for Economic Co-operation and Development (OECD). It is also designed for use by tax administrators, both those belonging to the U.S. Internal Revenue Service and those belonging to the tax administrations of other countries, and tax professionals in and out of government, corporate executives, and their non-tax advisors, both American and foreign. Fifty co-authors contribute subject matter expertise on technical issues faced by tax and risk management counsel. The OECD states that a Hybrid Mismatch Arrangement “is a profit shifting arrangement that utilises a hybrid element in the tax treatment of an entity or instrument to produce a mismatch in tax outcomes in respect of a payment that is made under that arrangement.” The hybrid mismatch arrangements targeted by the OECD rules are “those where the resulting mismatch results in a lower aggregate tax burden for the parties to the arrangement.” (See Page 8 of OECD Discussion Draft Neutralise the effects of Hybrid Mismatch Arrangements – Recommendations for Domestic Laws). In connection with this work the Committee on Fiscal Affairs (CFA) has now released two consultation documents on Action Item 2 as a single proposal for public consultation. The first discussion draft (Neutralise the effects of Hybrid Mismatch Arrangements – Recommendations for Domestic Laws) sets out recommendations for domestic rules to neutralise the effect of hybrid mismatch arrangements and the second discussion draft (Neutralise the effects of Hybrid Mismatch Arrangements – Treaty Aspects of the Work on Action 2 of the BEPS Action Plan) discusses the impact of the OECD Model Convention on those rules and sets out recommendations for further changes to the Convention to clarify the treatment of hybrid entities. (ii) arrangements where the intermediary is party to a separate hybrid mismatch arrangement and the payment is set-off against a deduction arising under that arrangement (imported mismatches). The second discussion draft Neutralise the effects of Hybrid Mismatch Arrangements – Treaty Aspects of the Work on Action 2 of the BEPS Action Plan focuses on ensuring that (1) dual resident entities and (2) transparent entities are not used to obtain the benefits of treaties unduly. Hybrid Mismatch Arrangements: Please send comments addressed to Achim Pross, Head, International Co-operation and Tax Administration Division, OECD/CTPA to aggressivetaxplanning@oecd.org. OECD Model Convention: Please send comment addressed to Marlies de Ruiter, Head, Tax Treaties, Transfer Pricing and Financial Transactions Division, OECD/CTPA to taxtreaties@oecd.org. The OECD invited Persons and organisations who intend to submit comments on these two Consultation Documents to indicate by May 2 whether they wish to speak in support of their comments at a public consultation meeting on Action 2 (Neutralise the effects of hybrid mismatch arrangements), which is scheduled to be held in Paris at the OECD Conference Centre on 15 May 2014. Persons wishing to attend this public consultation meeting should fill out their request for registration on line by May 2, 2014. This meeting will also be broadcast live on the internet and can be accessed on line. Handle your critical international business ventures with confidence using the indispensable content you can only find in LexisNexis® Foreign Tax & Trade Briefs, the one information service that provides the latest tax and trade information for 128 foreign countries and territories on a regular quarterly basis. Looseleaf, updated with revisions four times each year. Professor William Byrnes is the author of six Lexis treatises, including Tax Havens of the World; LexisNexis® Guide to FATCA Compliance; Money Laundering, Asset Forfeiture and Recovery and Compliance — A Global Guide; Practical Guide to US Transfer Pricing and International Withholding Tax Treaty Guide. On Friday (March 3) the OECD released its discussion draft of > proposals produced with respect to Action 6 < (Prevent Treaty Abuse) of the BEPS Action Plan. The OECD stated that the draft proposals set out do not represent the consensus views of either the Committee on Fiscal Affairs or its subsidiary bodies but rather are intended to provide stakeholders with substantive proposals for analysis and comment. The proposals follow upon the July 2013 OECD > Action Plan on Base Erosion and Profit Shifting <. The Action Plan identifies 15 actions to address BEPS in a comprehensive manner and sets deadlines to implement these actions. Develop model treaty provisions and recommendations regarding the design of domestic rules to prevent the granting of treaty benefits in inappropriate circumstances. Work will also be done to clarify that tax treaties are not intended to be used to generate double non-taxation and to identify the tax policy considerations that, in general, countries should consider before deciding to enter into a tax treaty with another country. The work will be co-ordinated with the work on hybrids. The OECD’s primary recommendation is the inclusion of a Limitation of Benefits (LOB) provision in tax treaties. The detailed OECD proposal refers to the US’ LOB articles and follows a US approach to combatting treaty shopping. A. Develop model treaty provisions and recommendations regarding the design of domestic rules to prevent the granting of treaty benefits in inappropriate circumstances. B. Clarify that tax treaties are not intended to be used to generate double non-taxation. C. Identify the tax policy considerations that, in general, countries should consider before deciding to enter into a tax treaty with another country. The Action Plan also provided that “[t]he OECD’s work on the different items of the Action Plan will continue to include a transparent and inclusive consultation process” and that all stakeholders such as business (in particular BIAC), non-governmental organisations, think tanks, and academia would be consulted. The comments must be received by April 9, 2014. The comments received by that date will be examined by the Focus Group at a meeting that will be held on the following week. Comments on this discussion draft should be sent electronically (in Word format) by email to taxtreaties@oecd.org and should be addressed to: “Tax Treaties, Transfer Pricing and Financial Transactions Division OECD/CTPA”. It is the policy of the OECD to publish all responses (including the names of responders) on the OECD website. Persons and organisations who intend to send comments on this discussion draft are invited to indicate as soon as possible, by April 3rd, whether they wish to speak in support of their comments at a public consultation meeting on Action 6 (Prevent Treaty Abuse), which is scheduled to be held in Paris at the OECD Conference Centre on April 14-15, 2014. This consultation meeting will be open to the public and the press. Persons wishing to attend this public consultation meeting should fill out their request for registration on line as soon as possible, with a deadline of April 3, 2014. This meeting will also be broadcast live on the internet and can be accessed on line. No advance registration is required for this internet access. C. Tax policy considerations that, in general, countries should consider before deciding to enter into a tax treaty with another country. On Tuesday the OECD released Transfer Pricing Comparability and Developing Countries (March 11, 2014). The OECD is seeking stakeholder and public comment until April 11, 2014 and will publicly discuss the contents in two parallel sessions on March 28, 2014, the last day of the Global Forum on Transfer Pricing. This last day of the Global Forum meeting will be held in conjunction with the Task Force on Tax & Development. Written comments should be sent to TransferPricing@oecd.org. Transfer Pricing Comparability and Developing Countries sets out and briefly discusses four possible approaches to addressing the concerns over the lack of data on comparables that have been expressed by developing countries. Expanding access to data sources for comparables, including steps to improve the range of data contained in commercial databases, expand developing country access to such databases, and improve access to comparables data in developing countries with a significant number of sizeable independent companies. More effective use of data sources for comparables, including guidance or assistance in the effective use of commercial databases, the selection of foreign comparables, whether and how to make adjustments to foreign comparables to enhance their reliability, and alternative approaches to finding comparables. Approaches to identifying arm’s length prices or results without reliance on direct comparables, including guidance or assistance in making use of proxies for arm’s length outcomes, the profit split method, value chain analysis, and safe harbours, an evaluation of the impact, effectiveness and compatibility with the arm’s length principle of approaches such as the so called “sixth method”, which is increasingly prevalent particularly in developing countries in Latin America and Africa, and a review of possible anti-avoidance approaches. Advance pricing agreements and mutual agreement proceedings, including a review of developing country experiences with the pros and cons of advance pricing agreements and negotiations to resolve transfer pricing disputes, as well as guidance or assistance with respect to mutual agreement proceedings. Transfer pricing expert Dr. Gary Stone of PriceWaterhouseCoopers has > analyzed < the OECD paper, available at http://www.pwc.com/en_GX/gx/tax/newsletters/pricing-knowledge-network/assets/pwc-oecd-comparability-data-developing-countries.pdf Dr. Stone is the global leader of the Transfer Pricing Group of PricewaterhouseCoopers (PwC). Dr. Stone is based in Chicago and has directed and performed numerous analyses of intercompany pricing and economic valuation issues for Fortune 500 size companies. 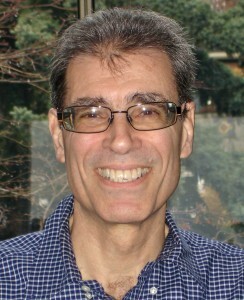 Dr. Stone is a contributing co-author to Lexis’ Practical Guide to U.S. Transfer Pricing. Lexis’ Practical Guide to U.S. Transfer Pricing (William Byrnes & the late Robert Cole (2013)) is designed to help multinationals cope with the U.S. transfer pricing rules and procedures, taking into account the international norms established by the Organisation for Economic Co-operation and Development (OECD). It is also designed for use by tax administrators, both those belonging to the U.S. Internal Revenue Service and those belonging to the tax administrations of other countries, and tax professionals in and out of government, corporate executives, and their non-tax advisors, both American and foreign. The most important development in U.S. transfer pricing in the year ended in July 2013 is the strengthening of the IRS’s capability to enforce the U.S. transfer pricing rules. We examine Transfer Pricing Operations’ three groups: the Advance Pricing and Mutual Agreement group (APMA), the Transfer Pricing Practice, and the International Practice Networks (IPNs). We discuss the new ”Rapid Appeals Process,” which is available for controversies that have arisen in an LB&I audit. It contemplates that Appeals, the examination team, and the taxpayer will discuss the case jointly in a single preopening conference in an effort to resolve the outstanding issues before the case is considered further by Appeals. On target with its previously announced timelines, February 13 the OECD released the Standard for Automatic Exchange of Financial Account Information Common Reporting Standard with an accompanying Press Release and Background Information Brief. Below are pertinent excerpts of the Press Release, Background Information Brief, and the new global Standard for Automatic Exchange. Developed by the OECD together with G20 countries, the standard calls on jurisdictions to obtain information from their financial institutions and exchange that information automatically with other jurisdictions on an annual basis. The OECD will formally present the standard for the endorsement of G20 finance ministers during a 22-23 February meeting in Sydney, Australia. The OECD is expected to deliver a detailed Commentary on the new standard, as well as technical solutions to implement the actual information exchanges, during a meeting of G20 finance ministers in September 2014. What are the main differences between the standard and FATCA? The standard consists of a fully reciprocal automatic exchange system from which US specificities have been removed. For instance, it is based on residence and unlike FATCA does not refer to citizenship. Terms, concepts and approaches have been standardised allowing countries to use the system without having to negotiate individual Annexes. Unlike FATCA the standard does not provide for thresholds for pre-existing individual accounts, but it includes a residence address test building on the EU savings directive. It also provides for a simplified indicia search for such accounts. Finally, it has special rules dealing with certain investment entities where they are based in jurisdictions that do not participate in the automatic exchange under the standard. More than 40 countries have committed to early adoption of the standard. The Global Forum on Transparency and Exchange of Information for Tax Purposes, hosted by the OECD, brings together 121 jurisdictions worldwide. It has been mandated by the G20 to monitor and review implementation of the standard. Under the single global standard jurisdictions obtain information from their financial institutions and automatically exchange that information with other jurisdictions on an annual basis. Part I of this report gives an overview of the standard. Part II contains the text of the Model Competent Authority Agreement (CAA) and the Common Reporting and Due Diligence Standards (CRS) that together make up the standard. OECD delivers new single global standard on automatic exchange of information, OECD Press Release (February 13, 2014). Automatic Exchange of Financial Account Information, Background Information Brief, OECD (February 13, 2014). Standard for Automatic Exchange of Financial Account Information Common Reporting Standard, OECD (released February 13, 2014). Fifty contributing authors from the professional and financial industry provide 600 pages of expert analysis within the LexisNexis® Guide to FATCA Compliance (2nd Edition): many perspectives – one voice crafted by the primary author William Byrnes. 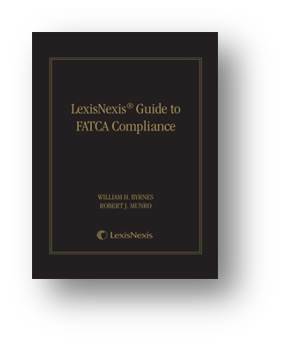 The LexisNexis® Guide to FATCA Compliance (2nd Edition) comprises 34 Chapters grouped in three parts: compliance program (Chapters 1–4), analysis of FATCA regulations (Chapters 5–16) and analysis of FATCA’s application for certain trading partners of the U.S. (Chapters 17–34), including intergovernmental agreements as well as the OECD’s TRACE initiative for global automatic information exchange protocols and systems. The 34 chapters include many practical examples to assist a compliance officer contextualize the regulations, IGA provisions, and national rules enacted pursuant to an IGA. Chapters include by example an in-depth analysis of the categorization of trusts pursuant to the Regulations and IGAs, operational specificity of the mechanisms of information capture, management and exchange by firms and between countries, insights as to the application of FATCA and the IGAs within new BRIC and European country chapters. Yesterday (January 30, 2014) the OECD released an initial draft of revised guidance on transfer pricing documentation and country-by-country reporting for comment by interested parties. Action 13 of the BEPS Action Plan released on July 19, 2013 calls for a review of the existing transfer pricing documentation rules and the development of a template for country-by-country reporting of income, taxes and economic activity for tax administrations. The OECD Announcement stated that its Committee on Fiscal Affairs believes that it is essential to obtain input from stakeholders on this Discussion Draft to advance the work. Specific issues on which comments would be appreciated are noted in the draft. The OECD requests that comments be submitted in writing to transferpricing@oecd.org by February 23, 2014. A public consultation event will be held at the OECD in Paris at the end of March 2014 with specifically invited persons selected from among those who provide written comments. An open discussion of the draft with all interested persons will take place at a future date to be determined in April or May. Transfer pricing rules are an inescapable part of doing business internationally, and the LexisNexis Practical Guide to U.S. Transfer Pricing provides an in-depth analysis of the U.S. rules. This product is designed to help multinationals cope with the U.S. transfer pricing rules and procedures, taking into account the international norms established by the Organisation for Economic Co-operation and Development (OECD). It is also designed for use by tax administrators, both those belonging to the U.S. Internal Revenue Service and those belonging to the tax administrations of other countries, and tax professionals in and out of government, corporate executives, and their non-tax advisors, both American and foreign. Associate Dean William Byrnes is also pleased to announce the publication of International Withholding Tax Treaty Guide, Second Edition by LexisNexis. The second edition of International Withholding Tax Treaty Guide, authored by Professor William H. Byrnes and Dr. Robert J. Munro, includes new binders with new chapter structures of completely rewritten tax information and analysis. The second edition of Foreign Tax & Trade Briefs includes a new structure for all 110 country chapters to reflect the evolution of national tax systems since 1948. The International Withholding Tax Treaty Guide has been expanded to include many new countries to match the robust list of Foreign Tax & Trade Briefs, and its footnote numbering has been amended for brevity and modern coherence. Moreover, International Withholding Tax Treaty Guide subscribers will receive new chapters of analysis and planning based on the OECD Model DTA articles and major trading country jurisprudence that are most relevant to corporate tax counsel, addressing topics such as capital gains, dividends, interest, rents, leasing income, royalties, and permanent establishment, as well as developing topics such as new standards of information exchange. Corporate counsel may combine these publications with the LexisNexis Matthew Bender publication Tax Havens of the World to form a complete international tax planning and risk management library. This week I continue in my historical anecdotes on the subject of cross-border tax (financial) information exchange and cross-border tax collection in the context of the European Union Tax Savings Directive. In our live course webinars, we will continue our indepth address of the related compliance issues. On 21 January 2003, the EU Finance Ministers meeting within the Council of Ministers (“the ECOFIN Council”) reached a political agreement on a “tax package”, which comprises a Code of Conduct for business taxation, a proposal for a Community Directive on the taxation of interest and royalty payments and a proposal for a Community Directive on the taxation of income from savings (“the Savings Directive”). Furthermore on 7 March the ECOFIN Council agreed the text of the Savings Directive, although the Directive has not yet been formally adopted. In its current form, the Savings Directive only applies to interest paid to individuals, and in particular it does not apply to companies. The Savings Directive requires an automatic, cross-border, exchange of information between the EU members states and their territories. (d) information concerning the interest payment in accordance with paragraph 2. 1. The competent authority of the Member State of the paying agent shall communicate the information referred to in Article 8 to the competent authority of the Member State of residence of the beneficial owner. 2. The communication of information shall be automatic and shall take place at least once a year, within six months following the end of the tax year of the Member State of the paying agent, for all interest payments made during that year. Three EU members, the territories and dependencies of the UK, and to date the accession state of Switzerland have been granted a transitional period of time to implement automatic exchange of information. The transitional period of time is to last until all listed non-EU members, i.e. Switzerland, Monaco, Andorra, Liechtenstein, and the USA, have entered into automatic exchange of information with the EU member states. During the transition, these States and jurisdictions must collect a withholding tax of which 75% of that tax must then be forward to the Member State of residence of the beneficial owner of the interest. 1. During the transitional period referred to in Article 10, where the beneficial owner is resident in a Member State other than that in which the paying agent is established, Belgium, Luxembourg and Austria shall levy a withholding tax at a rate of 15 % during the first three years of the transitional period, 20 % for the subsequent three years and 35 % thereafter. Each of the twenty-five members (including the accession of the new group of ten members), their relevant territories, and the non-EU members acceding to the Directive is allowed to interpret the Directive for legislative implementation under its national law. The Savings Directive recognises the issue of capital flight due to the sensitivity of taxpayers to exchange of information. At paragraph 24 it states, “So long as the United States of America, Switzerland, Andorra, Liechtenstein, Monaco, San Marino and the relevant dependent or associated territories of the Member States do not all apply measures equivalent to, or the same as, those provided for by this Directive, capital flight towards these countries and territories could imperil the attainment of its objectives. Therefore, it is necessary for the Directive to apply from the same date as that on which all these countries and territories apply such measures.calls for.” This capital flight issue is based upon three historical benchmarks regarding the imposition of withholding tax on interest and the immediate and substantial impact that withholding tax on interest has on capital flight. The benchmarks are (1) the 1964 US imposition of withholding tax on interest that immediately led to the capital flight of hundreds of million of dollars and the corresponding creation of the London euro-dollar bond market; (2) the 1984 US exemption of withholding tax on portfolio interest that immediately led to the capital flight from Latin America of US$300 billion to US banks; and (3) the 1989 German imposition of withholding tax that led to immediate capital flight to Luxembourg and other jurisdictions with banking secrecy of over a billion DM, so substantial that the tax was repealed but four months after imposition. Please refer to my earlier blogticles for further information about this topic. Please contact me with any comments or follow up research materials. COUNCIL DIRECTIVE 2003/48/EC of 3 June 2003 on taxation of savings income in the form of interest payments. The directive does not apply to Bermuda, but Bermuda has entered into agreements that have equivalent measures. This week I continue in my historical anecdotes leading back up to the subject of cross-border tax (financial) information exchange and cross-border tax collection. In this blogticle I turn to the OECD Model Convention for Mutual Administrative Assistance in the Recovery of Tax Claims and the EU Directive on the Mutual Assistance for the Recovery of Claims In our live webinars in the tax treaty course, Marshall Langer will continue to address these issues indepthly. At the request of the applicant State the requested State shall provide any information useful to the applicant State in the recovery of its tax claim and which the requested State has power to obtain for the purpose of recovering its own tax claims. 1. At the request of the applicant State the requested State shall recover tax claims of the first-mentioned State in accordance with the laws and administrative practice applying to the recovery of its own tax claims, unless otherwise provided by this Convention. Procedurally, the documentation must state (1) the authority requesting, (2) name, address and other particulars for identification of the taxpayer, (3) nature and components of the tax claim, and (4) assets of which the Requesting State is aware of from which the claim may be recovered. The nature of the tax claim must include documentary evidence in the form of the instrumentality establishing that the tax is determined, that it is due, and that it is without further recourse to contest under the Requesting State’s laws. The applicable Statute of Limitation is of the Requesting State. The Requested State’s obligation is limited, as under the OECD DTA Model Article 26 and 27, if the request requires the Requested State to go beyond its own or the Requesting State’s capacity to either provide information or take administrative actions pursuant to their respective internal laws. The Requesting State has a duty to exhaust its own reasonable collection remedies before making the request which procedural requirement may be relied upon by the Requested State. All requests are also limited by ordre public. Coming into force April 1, 1995 amongst the signatories Belgium, Denmark, Finland, Iceland, Netherlands, Norway, Poland, Sweden, and the US, this multilateral convention was originally agreed in 1988. The Convention provides for exchange of information, foreign examination, simultaneous examination, service of documents and assistance in recovery of tax claims. Tax covered includes income, capital gains, wealth, social security, VAT and sales tax, excise tax, immovable property tax, movable property tax such as automobiles, and any other tax save customs duties. The tax also includes any penalties and recovery costs. The tax may have been levied by the State and any of its subdivisions. The convention allows the request of information regarding the assessment, collection, recovery and enforcement of tax. The information may be used for criminal proceedings on a case-by-case basis pursuant to the Requested State agreeing, unless the States have waived the requirement of agreement. (5) that was obtained from the other State has led to further information about taxes in the other State. Similar to the OECD Model Conventions above, procedurally the requesting documentation must state (1) the authority requesting and (2) name, address and other particulars for identification of the taxpayer. For an information request, the document should include in what form the information should be delivered. For a tax collection assistance request, (1) the tax must be evidenced by documentation in the form of the instrumentality establishing that the tax is determined, that it is due and that it is without further recourse to contest, (2) the nature and components of the tax claim, and (3) assets of which the Requesting State is aware of from which the claim may be recovered. This Multilateral Convention’s limitations follow the 1981 and 2003 OECD Model, but further provide for a non-discrimination clause. The non-discrimination clause limits providing assistance if such assistance would lead to discrimination between a requested State’s national and requesting State’s nationals in the same circumstances. The OECD is not alone in its quest to improve tax information exchanges. On June 15, 2001 the EU Commission issued a Directive that amended a previous 1976 Directive which substantially changed the impact of that 1976 Directive (on mutual assistance for the recovery of claims resulting from operations forming part of the system of financing the European Agricultural Guidance and Guarantee Fund, and of agricultural levies and customs duties and in respect of value added tax and certain excise duties). In summary, the Directive provides for one Member State’s competent authority at the request of another Member State’s competent authority to disclose to the requester’s competent authority any information in relation to a claim which is required to be disclosed by virtue of the Directive. – if the information, in the opinion of the Competent Authority, would be materially detrimental to any commercial, industrial or professional secrets. Any information provided to a competent authority under the enacting regulations pursuant to the Directive can only be used for the purposes of the recovery of a claim or to facilitate legal proceedings to the recovery of such a claim. Under the Directive, the collecting Member State is obliged to collect the amount of a claim specified in any request received from a competent authority in another Member State and remit the amount collected to that competent authority. In the Tax Treaties course, Prof. Marshall Langer will be undertaking an in-depth analysis of these instruments and issues raised above regarding the IRS efforts to collect tax via assistance from foreign states. For further tax treaty course information, please contact me at William Byrnes (wbyrnes@tjsl.edu). This week I continue in my historical anecdotes leading back up to the subject of cross-border tax (financial) information exchange and cross-border tax collection. In this blogticle I turn to the FATF, Edwards and KPMG reports, OECD and Offshore Group of Bank Supervisors. In our live webinars, Marshall Langer will continue to address these issues indepthly. In 1990, the FATF established forty recommendations as an initiative to combat the misuse of financial systems by persons laundering drug money. In 1996, the FATF revised its forty recommendations to address “evolving money laundering typologies”. The 1996 forty recommendations developed into the international anti-money laundering standard, having been endorsed by more than 130 countries. In 2001, because of 9/11, the FATF issued eight terrorist financing special recommendations to combat the funding of terrorist acts and terrorist organizations. Regarding the micro-economies, the activities of the Offshore Group of Banking Supervisors (OGBS) have lead to agreement with the FATF on ways to evaluate the effectiveness of the money-laundering laws and policies of its members. The difficulty is that only about a half of offshore banking centers are members of OGBS. See the FATF Methods and Trends page for detailed typologies. (5) expand company disclosure with regard to the directors. In 2000, the UK government in association with the governments of the Caribbean Overseas Territories and Bermuda commissioned the London office of KPMG to assess the territories financial regulations against international standards and good practice, as well as make recommendations for improvement where any territory fell beneath the standards. A brief example summary for Anguilla and British Virgin Islands (BVI) is below. Shift responsibility for offshore financial services from the Governor back to the Minister of Finance, specifically the Director of the Financial Services Department. Fight money laundering and other fraud by keeping records of bearer share ownership, allowing, where necessary the disclosure of the owners’ names to Anguilla’s regulators for possible onward transmittal to other jurisdiction’s regulators. Expand the IBC disclosure by including director’s names in the Articles of Incorporation as well as empowering the Registrar of Companies to apply for a Court appointed inspector. Require partnerships to maintain financial records. Enact a new insurance law. Amend the 1994 Fraudulent Dispositions and 1994 Trust Act’s disclosure requirements to prevent insertion in trust documents of clauses hampering legitimate creditors or restricting official investigations. The KPMG Report concluded that Anguilla’s ACORN electronic company registration system “enhanced” the regulatory environment. Consolidating control of offshore financial services in an independent Financial Services Department (which was renamed the Financial Services Commission), which at the time functioned as the regulatory authority. This required devolving powers of licensing, regulation and supervision from the Governor in Council, composed of the Governor, Attorney General, Chief Minister, and four Ministers. KPMG urged the FSD to give up its marketing activities. In 2002 this activity was hived off and reposed in a newly established BVI International Financial Centre. Grant the Registrar of Companies power to initiate an investigation of a company and petition the courts to wind up an IBC. Establish standards, based upon the International Organisation of Securities Commissions, for supervision of mutual funds, drafting a regulatory code affecting all securities and investment ventures, and increasing the Registrar of Mutual Funds’ enforcement powers. Enact enforceable codes of practice for company and trust service providers and increase the supervisor’s regulatory powers. Influenced by international reports concerning combating money laundering, the BVI passed legislation restricting the anonymity and mobility of bearer shares through requiring them to be held by a licensed financial institution. The anonymity of directors was reduced by requiring information about them to be filed preferably in the Company Registry in the jurisdiction. In 2000, the OECD issued Improving Access to Bank Information for Tax Purposes. The 2000 OECD Report acknowledged that banking secrecy is “widely recognised as playing a legitimate role in protecting the confidentiality of the financial affairs of individuals and legal entities”. This Report focused on improving exchange of information pursuant to a specific request for information related to a particular taxpayer. In this regard, it noted that pursuant to its 1998 Report, 32 jurisdictions had already made political commitments to engage in effective exchange of information for criminal tax matters for tax periods starting from 1 January 2004 and for civil tax matters for tax periods starting from 2006. We have already covered the corresponding TIEAs established in light of this report in a previous blogticle hereunder. Black/White and Grey lists will be covered in a future blogticle. In 2002, the OGBS formed a working group to establish a statement of best practices for company and trust service providers. The working group included representatives from the micro-economies of Bahamas, Bermuda, B.V.I., Cayman Islands, Cyprus, Guernsey, Gibraltar, Isle of Man an Jersey and from the OECD members France, Italy, the Netherlands, the U.K., as well as the relevant NGOs of the FATF, IMF, and OECD. The terms of reference of the working groups was to “To produce a recommended statement of minimum standards/guidance for Trust and Company Service Providers; and to consider and make recommendations to the Offshore Group of Banking Supervisors for transmission to all relevant international organisations/authorities on how best to ensure that the recommended minimum standards/guidance are adopted as an international standard and implemented on a global basis”. (vi) there should be no legal or administrative barrier to the flow of information/documentation necessary for the recipient of business from a Service Provider who is an acceptable introducer to satisfy itself that adequate customer due diligence has been undertaken in accordance with the arrangements set out in the Basel Customer Due Diligence paper. I continue in my historical anecdotes leading back up to the subject of cross-border tax (financial) information exchange and cross-border tax collection. This week, we start with the United Nations Declaration Regarding Non-Self Governing Territories, which is in the UN Charter, then turn the a few UK Reports about her territories, and the UN and OECS Human Development Indices. Marshall Langer will be addressing these much more in-depthly during his lectures in October and November. e. to transmit regularly to the Secretary- General for information purposes, subject to such limitation as security and constitutional considerations may require, statistical and other information of a technical nature relating to economic, social, and educational conditions in the territories for which they are respectively responsible other than those territories to which Chapters XII and XIII apply. In 1999, Robin Cook presented to Parliament a White Paper Partnership for Progress and Prosperity: Britain and the Overseas Territories (the “White Paper”). The White Paper’s primary conclusion was that the Overseas Territories had successfully diversified their economies through developing global market positions in the offshore financial services industry but that the Overseas Territories required reputation maintenance through regulatory enhancement in order to maintain their global market position within this industry. The White Paper noted that the Caribbean Overseas Territories were potentially susceptible to money laundering and fraud because of their proximity to drug producing and consuming countries, inadequate regulation and strict confidentiality rules. Also, the White Paper proposed that Britain grant full citizenship, i.e. with right of abode, to the Overseas Territories citizens. But this right of citizenship was not in exchange for implementing the more extensive regulatory regimes in alignment with the OECD Report. In 2002, the UK enacted the British Overseas Territories Bill in order to fulfil the Government’s commitment, announced in the White Paper, to extend full British citizenship to those who were British Dependent Territories citizens. Note that the nationals of the US, Netherlands, French, Portugal and Spanish territories have full parent State nationality with rights of abode. The non-colony status jurisdictions charged further discriminatory treatment, that they did not have the same rights of free movement and abode as the colonial nationals. In its Report, the OECD members targeted trade in capital and services with the stick of sanctions, but did not offer a carrot, much less a lifeline, to the independent micro-economies. Some Island states’ pundits allege that the OECD drive against tax competition is a geo-political move for re-(economic) colonization. These commentators propose that the inevitable declining human development impact of the OECD’s drive against tax competition will be a brain drain to the OECD countries via legal and illegal immigration. The United Nations Human Development Report for 2009, to be released within a few weeks in October, will address the international issue of the movement of persons. Because the UN Human Development Annual Report does not include all the Caribbean Islands, such as the non self-governing former colonies, the OECS Human Development Report is critical for the quantitative measuring and qualitative analysis of social and economic indicators for Eastern Caribbean territories, and to then be able to contrast these to other UN members captured by the UN Report. It should be noted that the OECS Report noted that the Caribbean financial centers held approximately US$2 trillion in assets from international financial center activities. The OECS stated that these international financial services contributed foreign exchange to its members’ economies, revenue to its governments, and that the sector created employment while developing human resources and contributing to the growth of technology. The OECS concluded that the most important impact to the economies from international financial services was economic diversification. In 1989, HMG commissioned the Gallagher Report (Survey of Offshore Finance Sectors of the Caribbean Dependent Territories) with the intent to review whether its territories’ offshore financial services sectors regulations met international standards. Overall, the Gallagher Report presented proposals to extend the range and scope of offshore financial services in the COTs through the introduction of new measures designed to improve the regulatory framework especially with relation to banks, trusts, insurance and company management. The Gallagher Report made specific recommendations to several jurisdictions. By example, with regard to the British Virgin Islands, the Gallagher Report presented proposals to extend the range and scope of offshore financial services through the introduction of new measures designed to improve the regulatory framework as it relates especially to banks, trusts, insurance and company management. Following the Gallagher Report’s proposals, the BVI government revised in 1990 the 1984 IBC Act, enacted a modern Banks & Trust Companies Act to replace the 1972 legislation; and passed the Company Management Act requiring companies providing registration and managerial services to be licensed. In 1993, BVI enacted a Trustee (Amendment) Act in order to modernise the 1961 Trust Ordinance and the following year passed the 1994 Insurance Act. Sizeable increase in the contribution of professional services to the GDP (Gross Domestic Product). Range of new employment opportunities for young people. Inward migration of Anguillans living overseas. Increase in the number of visitors and a decrease in their seasonability. As a result of the Report, Anguilla received a three-year 10.5 million English pound grant from the Minister for Overseas Development to research and to develop a Country Policy Plan. In 1994, Anguilla updated its international financial center through enacting a package of twelve statutes. Please contact me for further information or research that you would like to share on these topics at http://www.llmprogram.org. Bill 40 of 2001-2002 was enacted to fulfil the Government’s commitment, announced in March 1999 in its White Paper, to extend full British citizenship to those who were British Dependent Territories citizens. The Confidential Relationships Ordinance, 1981, made it illegal to give other Governments information, including information regarding tax offences. Over the past several weeks, I have written a series of blogticles addressing issues of tax information exchange. I will now pull back to circle around this subject, touching upon several forums, reports, and initiatives that either led up to or occurred during the OECD Forum. Recognizing that the Forum has obtained steam due to the global financial slump – I will address current initiatives and impacts after the historical annotation. Importantly, I will need to research and address the most recent OECD Forum in Mexico wherein Dr. Dan Mitchell, a press commentator for the Cato Institute, reported that the OECD is attempting to resuscitate the debunked arguments for capital export neutrality. Let us begin this look back with a review of the seminal 1998 OECD Report . In 1998, the Organization of Economic Cooperation and Development (“OECD”) presented its seminal report Harmful Tax Competition: An Emerging Global Issue [“1998 OECD Report]. The 1998 OECD Report addressed harmful tax practices in the form of tax havens and harmful preferential tax regimes in OECD Member countries, but primarily in non-Member countries and their dependencies. The 1998 OECD Report focused on geographically mobile activities, such as financial and other service activities. The Report defined the factors to be used in identifying harmful tax practices and regimes, proposing 19 recommendations to counteract such practices and regimes. Because Switzerland and Luxembourg abstained from the Report, these two OECD members are not bound by its recommendations. The OECD has followed the 1998 Report with progress reports regarding implementation of the recommendations. Whether there are laws or administrative practices that prevent the effective exchange of information for tax purposes with other governments on taxpayers benefiting from the no or nominal taxation. Whether there is a lack of transparency regarding revenue rulings or financial regulation and disclosure. Whether there is a favourable tax regime applying only to certain persons or activities (ring fencing). Whether there is an absence of a requirement that the activity be substantial, which would suggest that a jurisdiction may be attempting to attract investment or transactions that are purely tax driven. The 2000 follow up report downgraded the 1998 factor of whether the jurisdiction imposed a minimal level of tax from a determinative factor to only as an indicative factor of tax haven status that would lead to further investigation into the four determinative factors. Was the 1998 Forum Influenced by Geo-Politics at the Expense of Neutrally Developed Outcomes? The list of tax havens determined to have harmful regimes included many of the traditionally targeted, primarily uni- and micro-economy, international financial centres on OECD member blacklists i.e. The Bahamas, British Virgin Islands, and Cayman Islands. Notably though, the list did not target jurisdictions such as Hong Kong and Singapore. Their absence from the list constituted disparate treatment, alleged the micro-economies, resulting merely from the micro-economies lack of diplomatic importance. Also, the 1998 OECD Report, in line with general OECD member trade negotiation policy, did not address its members’ ring-fenced tax policies that created harmful effects to the developing world, but rather only addressed the tax competition issues that affected the developed States. By example, the 1998 Report did not address the US tax ring-fenced policy established in 1984 of exempting from withholding tax non-resident’s portfolio interest that led to the capital flight from Latin America of US$300 billion to US banks. The 2000 Report listed the British overseas territory Virgin Islands as a targeted jurisdiction but did not list the US ring-fenced policy favourable toward the US overseas territory Virgin Islands, and most of the US’ other dependencies, that allows an exemption from US taxation on non-US source income for US taxpayers resident in the dependencies. This factor, alleged the micro-economies, illustrated the disingenuousness of the Report. The pro-micro economy commentators alleged an OECD discriminatory cartel against non-members, and in line that the Report was merely self-serving of the cartel’s interests. Application of transfer pricing guidelines. In order to be removed from the targeted list, the micro-economies had to issue Letters of Commitment to engage in effective provision of information for criminal tax matters for tax periods starting from 1 January 2004 and for civil tax matters for tax periods starting from 2006. All Caribbean States and territories were targeted by the OECD and succumbed to commitment letters. The States and Territories that have issued these Letters of Commitment have based their commitment on at least two quid pro quos: (1) a diplomatic seat at the table for future discussions regarding the issue of tax competition, and (2) a level playing field wherein the OECD obtains commitment from its members to implement its recommendations. My commentary on the criticism of the OECD Report has been very detailed, and addresses the policy issues raised by the Report from a complex perspective. First, the OECD States have democratically chosen government that democratically set the tax rates and rules that apply to their residents. If the residents do not like the rates or the rules, then the residents must either use the democratic process to change the rates and rules or move to a different jurisdiction. Thus, the often heard justification that OECD residents are justified in ‘hiding income’ because the OECD welfare States require high tax rates is not legitimate. Evasion, in the OECD, is a democratically established crime with legitimate sanctions. Secondly, in the OECD, taxpayers have a jurisprudentially long-established right to arrange their affairs so as to incur the lowest incidence of tax. This is known as tax avoidance planning. Planning involves characterisation of income and transactions, timing of income, arranging activities that create value in the income value chain with a system and among systems, leveraging definitional and interpretative anomalies within a system and among systems, to name the basics. Democratically elected governments may, even perhaps a duty to their welfare state societies, to protect their tax bases. Thus, these governments may change the tax rules to impose tax on transactions that previously avoided tax. On the other hand, retroactive regulatory changes are an affront to the jurisprudential principle of certainty and the Rule of Law. Retroactive changes have been enacted, albeit very rarely, and Courts need to be vigilant in maintaining the Rule of Law and the principle of certainty by striking down retroactive application in these situations. The groundwork is thus set for a conflicting claim: the government for revenue and the taxpayer (assisted by tax lawyers, accountants, and consultants) to minimize taxation. Another principle policy established by and binding upon the OECD members is free trade, albeit in mitigated application. The OECD preaches the freedom of movement of goods, services, and investment capital. The free movement of persons which was once an international norm, lost favour amongst the members, but at least amongst the EU trade bloc, has regained its principle status. The principles of free trade and the principle of taxation may create conflicting claims, both legitimate, upon taxpayers (tax subjects) and upon the chain of events that create income (tax objects). I will not go into further detail on this argument, but leave it for the lecture and our discussions in our program. Finally, this Report and the subsequent OECD Report on Banking that will be briefed in later blogticles both address the Exchange (“provision” because it is one way) of Information. I leave you with this issue to consider: Does Public International Law or international jurisprudence or the jurisprudence of our respective jurisdictions establish a right against retroactive application of a change in revenue department policy or attitude toward previously accepted norms in tax planning? The Forum has changed names since 1998 from “Harmful Tax Competition” to Harmful Tax Practices”. http://www.freedomandprosperity.org/memos/m09-09-09/m09-09-09.shtml. In potential support of Dr. Mitchell’s investigative press report is that the OECD Forum now uses the language in its communiqués “encourage an environment in which fair competition can take place”, sounding very similar to the industrial arguments promoting trade protectionism and barriers through countervailing dumping duties against States with low labour and materials costs. You may obtain this Report without charge in PDF on the OECD website at http://www.oecd.org/. The traditional micro-economies had previously been uni- agriculture economies, many exporting to their colonial parent under favourable import regimes to either counter OECD agricultural subsidy policies or as a subsidy in itself to the former/current colony to assist it with foreign exchange earnings that in turn could be used to meet the colonies trade deficit in goods. Many of the uni-economies diversified into tourism services to mitigate the trend of their lack of agricultural competitiveness. Eventually, the colonies entered the international financial services sector to mitigate against their dependency on tourism and to increase their local inhabitants standard of living. See Toward Global Cooperation, Progress in Identifying and Eliminating Harmful Tax Practices, OECD (2000) at 10. Forty-seven jurisdictions were initially targeted by the OECD, approximately a quarter of the world’s States and jurisdictions. The US imposes tax upon its taxpayers’ interest income. See Globalization, Tax Competition, and the Fiscal Crisis of the Welfare State, Reuven Avi-Yonah, 113 HVLR 1573, 1631 (May 2000) wherein he addresses this policy in the context of President Reagan’s administration’s efforts to attract foreign capital to fund the ballooning US deficit. The US imposes tax upon her citizens on the basis on their nationality. Thus, regardless of residency, a US taxpayer is subject to the full impact of US domestic taxation. This tax policy’s application to her own citizens is maintained in her tax treaties through the savings clause. The US grants two exceptions to this policy. The first is a exception limited to a ceiling of US$80,000 of employment income for US taxpayers resident in a foreign jurisdiction that remain outside the US at least 330 days. The second is the more egregious ring fence policy that allows an unlimited exemption from US tax on non-US source income for US taxpayers resident in the US Virgin Islands. The Virgin Islands, in turn, grants a generous tax subsidy benefit if the taxpayer’s activity is conducted through an approved investment incentive vehicle. By example, in June 2000, all members of the Organization of Eastern Caribbean States were listed by the OECD as tax havens. Under the threat of the OECD sanctions being implemented by its members against the Caribbean States, all issued Letters of Commitment to the OECD. I start with the democratic argument in order to ground my arguments in public international law. All OECD members are members of the UN (Switzerland having only recently joined). The OECD and UN principles hold high regard for democratic processes. Democratic participation is held up to the level of being a fundamental human right. Several OECD States have enacted anti-emigration tax statutes that continue to subject former residents (nationals in the case of the USA) to tax. I strongly disagree with this anti- free trade policy, in this case, that impacts the free movement of persons. This policy creates export barriers to low tax jurisdictions that seek to compete for the immigration of person with capital, such as retirees and entrepreneurs. Tax Information Exchange (TIEA): an Opportunity for Latin America and Switzerland to Clawback the Capital Flight to America? Tax Information Exchange (TIEA): an Opportunity for Latin American to Clawback Its Capital Flight Back from America? Perhaps even Switzerland? This blogticle is a short note regarding the potential risk management exposure of US financial institutions’ exposure to a UBS style strategy being employed by foreign revenue departments, such as that of Brazil, and Switzerland. Of course, such foreign government strategies can only be productive if US financial institutions are the recipient of substantial funds that are unreported by foreign nationals to their respective national revenue departments and national reserve banks, constituting tax and currency/exchange control violations in many foreign countries. The important issue of Cross Border Assistance with Tax Collection takes on more relevance when foreign governments begin seeking such assistance from the USA Treasury in collecting and levying against the hundred thousand plus properties purchased with unreported funds, and whose asset value may not have been declared to foreign tax authorities where such reporting is required in either the past, or the current, tax years. In the 2002 article International Tax Co-operation and Capital Mobility, prepared for an ECLAC report, from analysing data from the Bank for International Settlements (“BIS”) on international bank deposits, Valpy Fitzgerald found “that non-bank depositors are very sensitive to domestic wealth taxes and interest reporting, as well as to interest rates, which implies that tax evasion is a determinant of such deposits….” Non-bank depositors are persons that instead invest in alternative international portfolios and financial instruments. Estimating How Much Latin American Tax Evasion are US Banks Involved With? Within two weeks I will post a short blogticle that I am preparing regarding an estimated low figure of $300B capital outflow that has begun / will occur from the USA pursuant to its signing of a TIEA with Brazil. Some South Florida real estate moguls have speculated that this TIEA has played a substantial role in the withdrawal of Brazilian interest in its real estate market, which has partly led to the sudden crash in purchases of newly contrasted condominium projects. Three historical benchmarks regarding the imposition of withholding tax on interest illustrate the immediate and substantial correlation that an increase in tax on interest has on capital flight. The benchmarks are (1) the 1964 US imposition of withholding tax on interest that immediately led to the creation of the London Euro-dollar market; (2) the 1984 US exemption of withholding tax on portfolio interest that immediately led to the capital flight from Latin America of US$300 billion to US banks; and (3) the 1989 German imposition of withholding tax that led to immediate capital flight to Luxembourg and other jurisdictions with banking secrecy. The effect was so substantial that the tax was repealed only four months after imposition. The 1999 IMF Report on Offshore Banking concluded that the US experienced immediate and significant capital outflows in 1964 and 1965 resulting from the imposition of a withholding tax on interest. Literature identifies the establishment of London as a global financial centre as a result of the capital flight from the US because of its imposition of Interest Equalisation Tax (IET) of 1964. The take off of the embryonic London eurodollar market resulted from the imposition of the IET. IET made it unattractive for foreign firms to issue bonds in the US. Syndicated bonds issued outside the US rose from US$135 million in 1963 to US$696 million in 1964. In 1964-65, the imposition of withholding tax in Germany, France, and The Netherlands, created the euromark, eurofranc and euroguilder markets respectively. Conversely, when in 1984 the US enacted an exemption for portfolio interest from withholding tax, Latin America experienced a capital flight of $300 billion to the US. A substantial portion of these funds were derived from Brazil. In fact, some pundits have suggested that Miami as a financial center resulted not from the billions generated from the laundering of drug proceeds which had a tendency to flow outward, but from the hundreds of billions generated from Latin inward capital, nearly all unreported to the governments of origination. In January of 1989, West Germany imposed a 10% withholding tax on savings and investments. In April it was repealed, effective July 1st, because the immediate cost to German Banks had already reached DM1.1 billion. The capital flight was so substantial that it caused a decrease in the value of the Deutsche mark, thereby increasing inflation and forcing up interest rates. According to the Financial Times, uncertainty about application of the tax, coupled with the stock crash in 1987, had caused a number of foreign investment houses to slow down or postpone their investment plans in Germany. A substantial amount of capital went to Luxembourg, as well as Switzerland and Lichtenstein. Perhaps ironically given the nature of the UBS situation currently unfolding, a Trade Based Money Laundering study by three prominent economists and AML experts focused also on measuring tax evasion uncovered that overvalued Swiss imports and undervalued Swiss exports resulted in capital outflows from Switzerland to the United States in the amount of $31 billion within a five year time span of 1995-2000. That is, pursuant to this transfer pricing study, the Swiss federal and cantonal revenue authorities are a substantial loser to capital flight to the USA. The comparable impact of the lost tax revenue to the much smaller nation of Switzerland upon this transfer pricing tax avoidance (and perhaps trade-based money laundering) may be significantly greater than that of the USA from its lost revenue on UBS account holders. Certainly, both competent authorities will have plenty of work on their hands addressing the vast amount of information that needs to be exchanged to stop the bleeding from both countries’ fiscs. International Tax Cooperation and Capital Mobility, Valpy Fitzgerald, 77 CEPAL Review 67 (August 2002) p.72. See Charles Batchelor, European Issues Go from Strength to Strength: It began with Autostrade’s International Bond in 1963, The Financial Times (September 25, 2003) p.33; An E.U. Withholding Tax? Globalisation, Tax Competition, and the Fiscal Crisis of the Welfare State, Reuven Avi-Yonah, 113 HVLR 1573, 1631 (May 2000). Abolition of Withholding Tax Agreed in Bonn Five-Month-Old Interest Withholding To Be Repealed, 89 TNI 19-17. 1999 IMF Offshore Banking Report p.16. 1999 IMF Offshore Banking Report p.16-17. 1999 IMF Offshore Banking Report p.17. Maria E. de Boyrie, Simon J. Pak and John S. Zdanowicz The Impact Of Switzerland’s Money Laundering Law On Capital Flows Through Abnormal Pricing In International Trade Applied 15 Financial Economics 217–230 (Rutledge 2005).